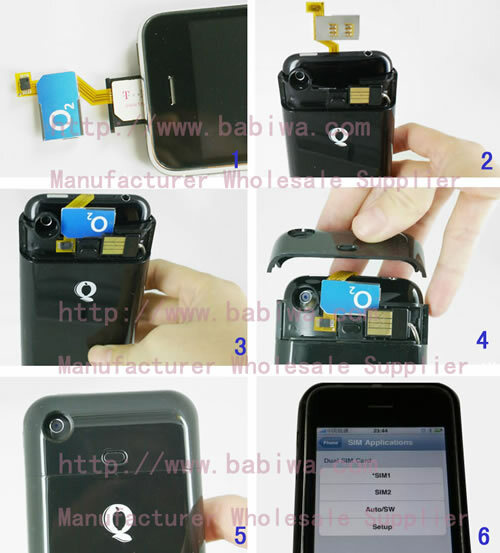 Genuine BABIWA© Q series Dual Sim Card Adapter for Apple Iphone 3GS 3G 2g ,Let your IPHONE 3GS ,3G ,2g(First Generation)Get Two Call Numbers for your Free Choice Conveniently and Easily ! (Support Any Universal or Worldwide Version). 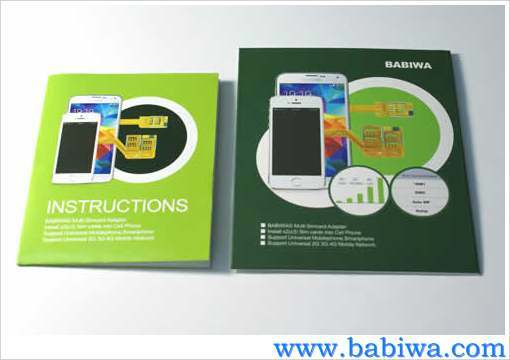 Genuine BABIWA© Q series Dual Sim Card Adapter for Apple Iphone 3GS 3G 2g ,Let your IPHONE 3GS ,3G ,2g(First Generation)Get Two Call Numbers for your Free Choice Conveniently and Easily ! You can easily switch between two SIM cards in your iPhone or Let two Numbers switched automatically(Based on the auto-switching time that you set up). Please Notice this is the Genuine BABIWA© Q series Dual Adapter Product released from Patient Owner,Not the Common Fake products easily found in the market. 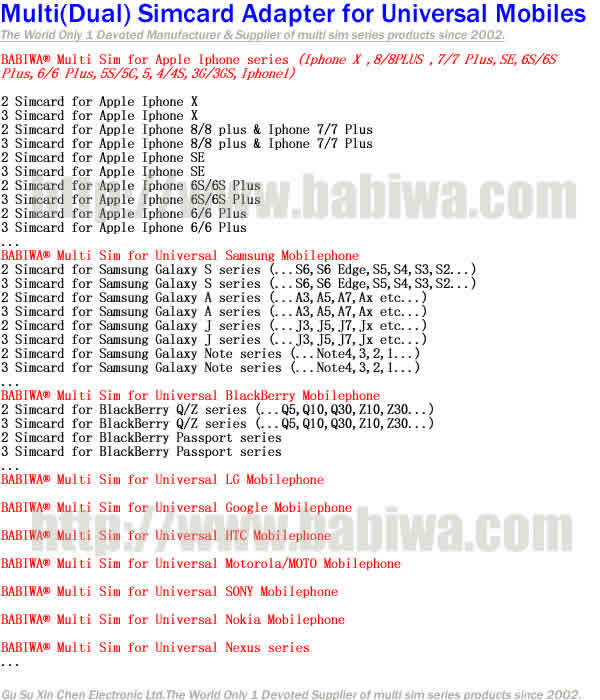 Iphone 3gs and Iphone 3g, Iphone 2g(first generation).Support Any Universal or Worldwide Version. 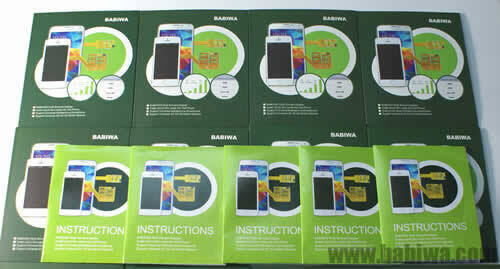 Universal GSM and 3G(UTMS WCDMA ) 4G (FDD-LTE) network. Any firmware(OS) version installed supported as long as your Iphone could use the original Sim card normally. 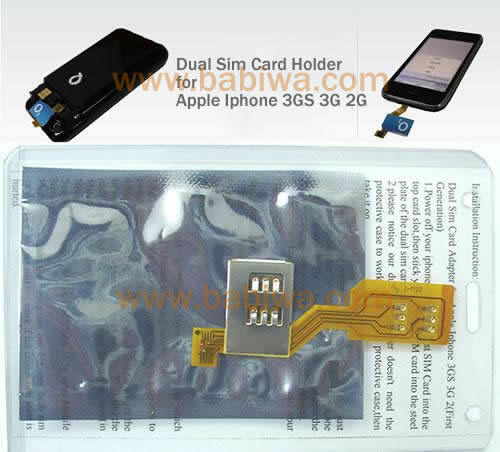 Detailed Installation of Dual Sim Card Holders Function .please notice you will get the dual sim adapter as the pic above,the protect case below for your iphone is not provided. you could get one protective case for iphone from local shop or online shop easily. 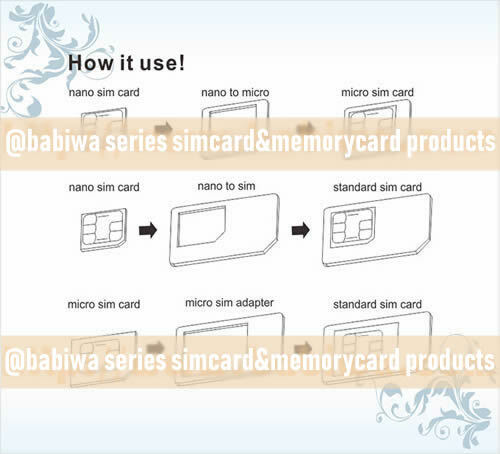 1.Insert your first SIM Card into the top card slot,then stick your another SIM card into the steel plate of the dual sim card holders . 2.if you have a protective case,then take it on. 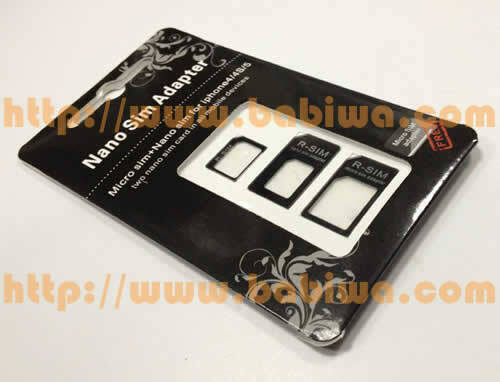 you could buy any protective case(rubber or crystal etc)with cheap price from anywhere.and please notice our dual sim adapter doesn't need the protective case to work. 4.Then You will find the menu in your Iphone 3GS/3G,2g ,just select which number to use,you could even let iphone switch automatically between both numbers.the Auto-Switching time could be adjustable (0-99 minutes). 5. Language can be customized according to your requirements. More Guide and instruction included in the pack.